Diverse nutrition is useful, but varied pasta cooking is a real pleasure! Especially if you can impress your friends or family with a new recipe, they will be speachless and amazed by your culinary skills. Take a look at our three suggestions and feel inspired to prepare the next meal. Baking spaghetti or macaroni in the oven before cooking? It sounds crazy, but pasta fans say that a light baking gives it a unique taste without the need of any additional ingredients. All you have to do is put the raw pasta in the oven for 10-15 minutes before boiling it. You will be surprised by the incredible result! If you want a slightly faster alternative than baking it in the oven, you can try stirring the required raw pasta for 5 min. in a warm but dry pan before boiling it. This technique is fast and adds a great flavor and scent. Using red wine to make your favorite pasta? Preparing your favorite spaghetti or macaroni with wine will not only add to your taste, but will also color your pasta in burgundy red. It is necessary to boil the spaghetti or macaroni in a mix of water and red wine in a ratio of 4:3. The bloggers’ advice is to use thicker wines such as cabernet or merlot. But it makes no sense to spend so much on a wine. A cheaper one will create miracles with your spaghetti or macaroni. Boiling a delicious pasta with milk or broth? If you want a delicious al dente spaghetti or macaroni, you can try to boil it in milk. In combination with Alfredo sauce, this method of preparation will provide even more creamy and tasty pasta dishes. Another option is to use broth for boiling instead of water. You will be pleasantly surprised by the final result, as your spaghetti or macaroni will absorb a lot of scents. 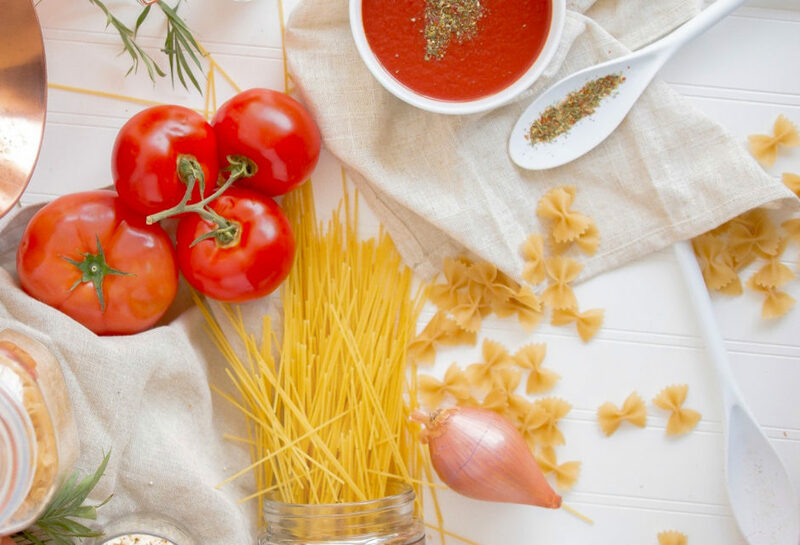 If you want to prepare fuller meals like Bolognese, it is better to use a beef broth, but for lighter recipes such as Carbonara pasta – use a vegetable one. These are our clever methods for preparing a slightly unusual spaghetti or macaroni. The use of wine or broth will definitely diversify the dish. And if you share it on social networks, it will definitely catch the eye of your friends.